Chances are good that you’ve seen Mary Brodbeck’s woodblock prints — maybe at the Kalamazoo Institute of Arts gift shop, in a Saugatuck art gallery, or on an Art Hop in Kalamazoo. Brodbeck’s prints are the kind you don’t forget, especially if you love nature. 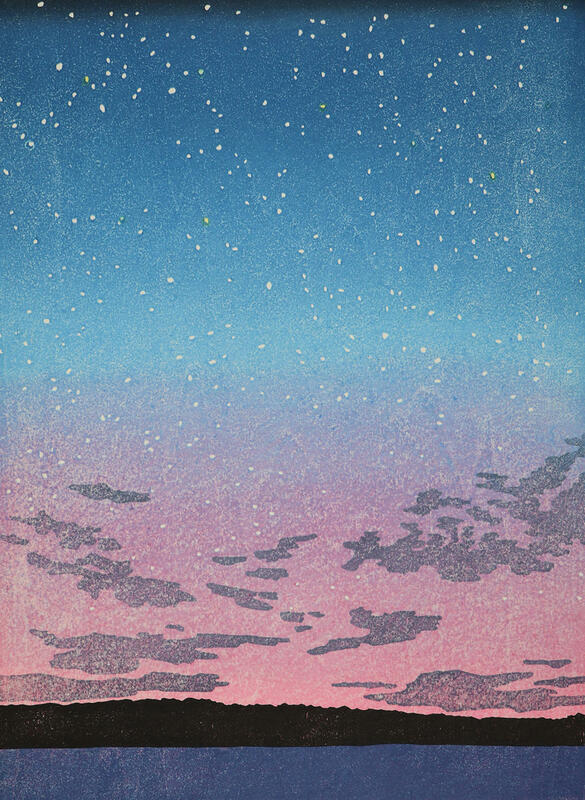 Her landscapes capture the serenity of nature, even if it means a demanding hike to get a scene worth reproducing with the ancient process of Japanese woodblock printmaking. But at some point, Brodbeck says her need for art overcame her need for financial security. She was ready to take the risk. Brodbeck also wanted to have a closer to connection to nature. So she returned to college, to Western Michigan University, to work on her MFA. She received a five-month fellowship to work and study in Tokyo in 1998, to learn Japanese woodblock printing. She had found her niche. Brodbeck says woodblock printmaking is a difficult process to learn, let alone master. She dedicated herself to that mastery. Woodblock prints are impressions on paper made using carved and inked blocks. Multi-color prints require separate woodblocks for each color. Brodbeck’s images are usually created by using eight-to-ten woodblocks and 30 layered impressions. Brodbeck’s work has received critical acclaim both in the U.S. and Japan. Some of her art is in the permanent collection at the Detroit Institute of Arts and in many private collections. 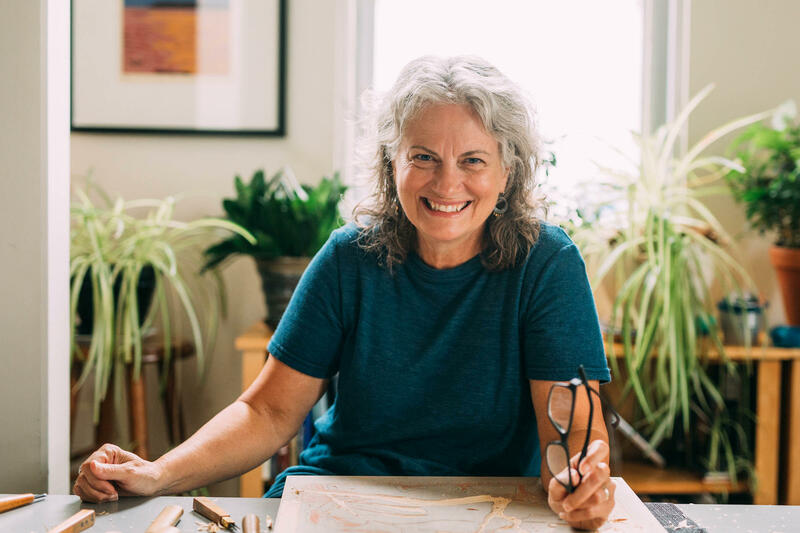 She also teaches and offers workshops in woodblock printmaking. With a degree in advertising design, Melody Allen thought she would make her career in graphic art. She was right – almost. Art was in her future, just not in the way she originally thought. 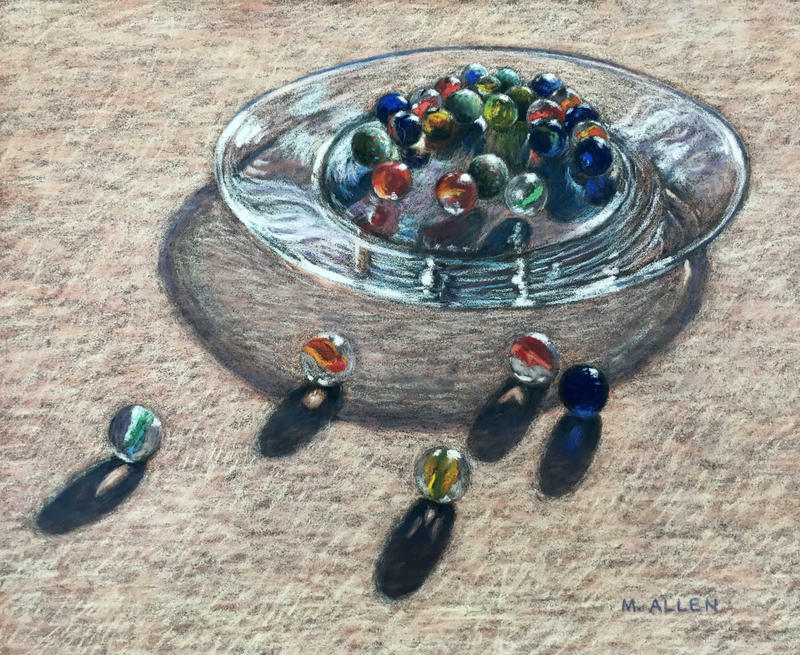 So Allen took up pastels instead, eventually showing her work and winning awards in juried shows. 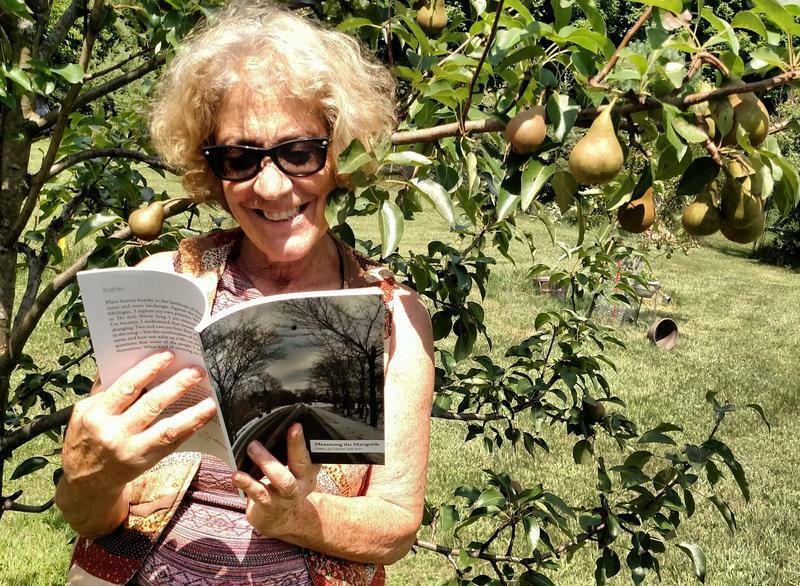 Retired Western Michigan University professor Miriam Bat-Ami crosses many literary genres. She writes books for kids and young adults as well as memoirs, creative nonfiction, and fiction for adults. To choose her genre, she considers her audience and asks, "Who will be part of this conversation?" With her new poetry collection, Measuring the Marigolds (Caffeinated Press, 2018), Bat-Ami speaks to adults experiencing the ups, downs, and in-betweens of family relationships. What if, looking back on a night in the past, you remember only that you drank until you blacked out? Then you find a video that seems to indicate that you murdered a friend while you were out. 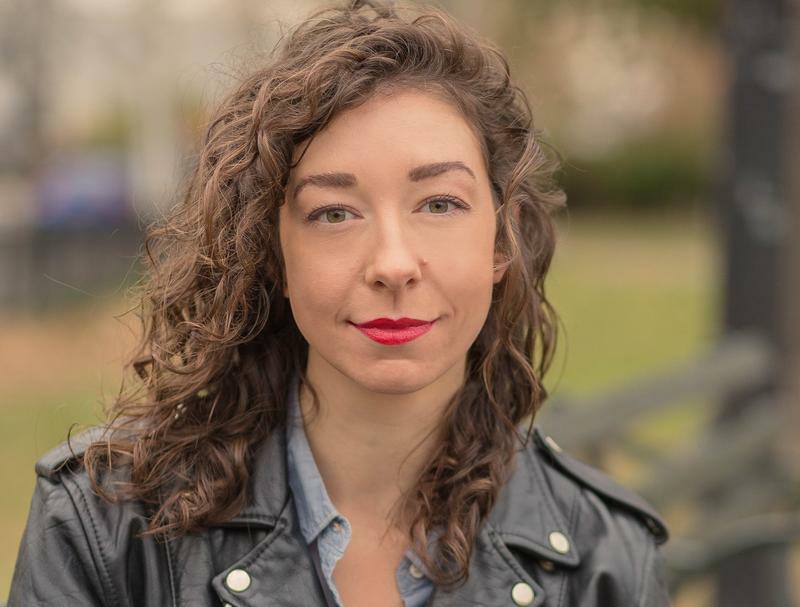 That’s the crux of The Lost Night (Crown Publishing Group, 2019), a novel by Brooklyn-based journalist, Andrea Bartz.